James Davis Collins, age 85 passed away June 9, 2017, at Gordon Hospice House, after a courageous battle with congestive heart failure. Born August 23, 1931 (Iredell County) Troutman, North Carolina- James (Jim) was the son of the late Alvah Davis and Callie Clark Collins. 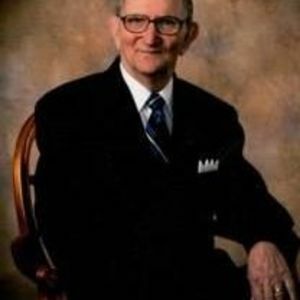 Mr. Collins was an active member of Western Avenue Baptist Church, Statesville, NC, and enjoyed many friends, his Sunday school class, and fellow members. A loving husband, and dedicated father, grandfather, great grandfather, beloved brother, brother-in-law, uncle, loyal friend, and faithful neighbor, Jim was well liked by many, and an inspiration to all. Active in the community, he was high-energy and always in constant motion. He loved the outdoors from cycling, exercise, walking at the park, and the YMCA Silver Sneakers' program. Although James had been in failing health for some time, that did not deter him from his daily activities or his enthusiasm for life. He loved the historic town of Salisbury, NC, fish camps and flea markets. He enjoyed playing and watching sports, especially baseball-an avid Yankees fan. His favorite hobbies were: travel, outings, gardening, reading, cooking, model car and coin collecting. James was preceded in death by his loving wife, Nattie G. Galliher who passed away August 8, 2016, after a three-year courageous battle with colon cancer. They were married June 30, 1951, and recently celebrated their 65th wedding anniversary. He is survived by Two Daughters: Judy Dianne Collins of West Palm Beach, Florida and Debbie Collins Haneline (Wayne) of Troutman, North Carolina. Five Grandchildren: Chip Bradley Carter- Winston-Salem, NC; Chad Brady Carter (Monnette)-Advance, NC; John Brandon Haneline (Laura)- Statesville, NC; Monica Tiania Haneline-Myrtle Beach, SC; and Julie Lynette Haneline-Huntersville, NC. Eight Great Grandchildren: Walker Chase and Riece Alexander Walden, Scarlett Gray Haneline-Myrtle Beach, SC; Cory Brantley, Olivia Ann, and Caroline Grace Haneline-Statesville, NC; and Avery Suzanne and Brady Dee Carter - Advance, NC. He is survived by sisters, Hazel Lail and Sarah Hoover, both of Troutman. Also, preceded in death by his sisters, Louise Tucker and Rachel Collins, and two brothers, R. Lee and Parks Collins. The family will receive friends from 1:00-3:00 pm on June 15, 2017, at Western Avenue Baptist Church. The funeral service to be held directly afterward at 3:00 pm at Western Avenue Baptist Church, 1206 Museum Rd, Statesville, NC 28625. Burial will follow at Iredell Memorial Gardens, 2304 Shelton Avenue, Statesville, NC. Dr. Jeff Spry officiating, with Rev. J. B. Parker, Jr. of Statesville. The family of James Collins would like to express their sincere thanks to the many neighbors and loyal friends of Queens Crest, Western Avenue Baptist Church, and Statesville Family YMCA, for their continued support and prayers, and especially- Interim HealthCare of Mooresville NC for their dedicated in-home skilled nurses who assisted diligently with his care. In lieu of flowers, donations, contributions, and memorials can be made in James D. Collins' memory to Statesville Family YMCA | 828 Wesley Drive Statesville, NC 28677 or Western Avenue Baptist Church |1206 Museum Rd, Statesville, NC 28625. The Statesville Family YMCA serves the entire family through youth development programs, as well as healthy living and social responsibility initiatives. In addition, online condolences may be left for the family at BunchJohnsonFuneralHome.com. Bunch-Johnson Funeral Home is honored to be serving the Collins Family.